Continuing our “Countdown to ‘Ultron’” miniseries is Steve Rogers, better known as Captain America. What makes Captain America awesome: He can take down an helicopter with nothing more than agility and a shield. Let’s see Iron Man do that. 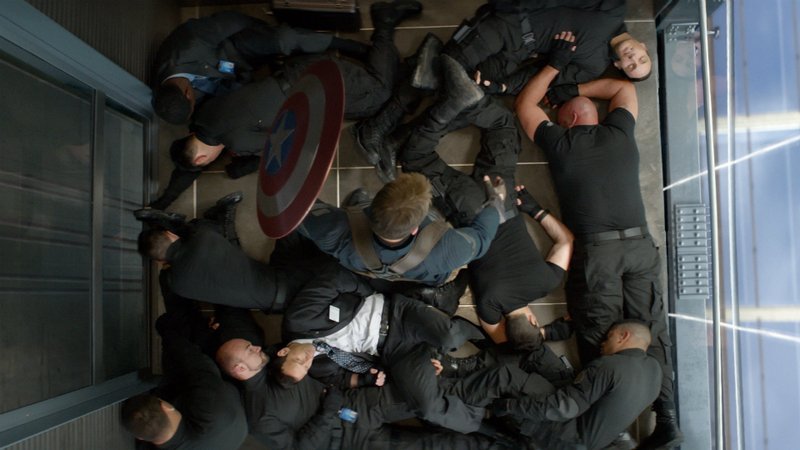 Best MCU Moment: The elevator fight scene in Captain America: The Winter Soldier. After the The Avengers, few would say that Captain America was their favorite Avenger. He talked down to everyone, was overly “American” and more than anything else, was just not as interesting as the other members of the team. That all changed with Captain America: The Winter Soldier, when fans realized he could be awesome with the right script and the right directors. Steve Rogers was just an everyday weakling in the beginning, with a hefty dose of patriotism. After trying and failing multiple times to join the army so he could fight during WWII, Dr. Abraham Erskine took an interest in him and allowed him to join Project Rebirth. Project Rebirth was a “super soldier” experiment being conducted by the SSR. Dr. Erskine was working on a serum that would bring the subject to the peak of human potential, amplifying both the physical and the emotional traits of the subject. That was why he took such a special interest in Rogers. In him, he saw a truly good person that would not be tainted by the serum like the Red Skull had been. After proving his selflessness during training, Rogers was finally given the serum, which made him nearly a foot taller and gave him a greatly enhanced physique. Unfortunately, Dr. Erskine was almost immediately killed by an German assassin after the experiment was over, prompting Rogers to chase after him. Though he was able to catch the assassin, the assassin immediately killed himself with a cyanide-filled fake tooth. Rather than serving as a soldier, Rogers was used as propaganda, redubbed with the name “Captain America.” Eventually becoming fed up with this, Rogers decided to go on a suicide mission against orders to save a group of captive American soldiers. Amongst the soldiers was Bucky Barnes, a childhood friend of Rogers. Against all odds, the mission was a success, and Captain America was given his own team, mostly consisting of soldiers he had saved called the “Howling Commandos.” Captain America and the Howling Commandos went on a number of missions together, with only one major casualty: Bucky Barnes—who fell to his apparent death off of a train. After the successful capture of Arnim Zola, a HYDRA operative, Captain America and the rest of the US forces had the intel they needed to finally take out HYDRA. Leading the assault alone, Captain America ended up chasing Red Skull onto the Valkyrie, a giant airship housing dozens of bombs for several major cities. After a climactic final battle with Red Skull that ended with his disintegration thanks to the Tesseract, Rogers piloted the crashing airship into the ocean, sacrificing himself in the process. In true comic fashion, however, Captain America did not die. He was merely frozen in ice, and due to the serum in his body, was somehow able to stay alive for nearly 75 years. Now in the modern day, Rogers faced some serious culture shock. He didn’t have long to adjust, however, as shortly afterward he had to deal with Loki and the Chitauri invasion. After uniting with the other Avengers and helping to capture Loki, and later save the Helicarrier, Captain America led the Avengers during the Battle of New York. Now working for S.H.I.E.L.D., Captain America’s world fell apart after they betrayed Nick Fury. In Rogers’s apartment, Fury gave him a flash drive with vital S.H.I.E.L.D. information on it and told him to “trust no one.” Fury was then shot and presumed dead. Following this, Rogers met the Winter Soldier for the first time, who conveniently escaped. Unsure of who to trust, Rogers hid the flash drive and refused to tell anyone about what Fury told him, which led to an epic escape from S.H.I.E.L.D. Black Widow figured out where Rogers hid the flash drive, prompting the two of them to follow the information they found to Rogers’s old training ground. There, they discovered the synthetic consciousness that Arnim Zola and were almost killed by a missile strike. After teaming up with newbie Falcon, the team was captured by S.H.I.E.L.D., only to be saved by Maria Hill. She then revealed to them that Nick Fury was still alive, and they all came up with a plan to take down the Helicarriers of Project Insight and S.H.I.E.L.D. along with them. After they all worked together to take down S.H.I.E.L.D., Captain America wakes up in a hospital bed, having been saved by the Winter Soldier aka Bucky Barnes. With a renewed purpose in life, Captain America and Falcon team up to find Bucky. That’s the last we’ve heard of Steve Rogers/Captain America. Knowing what we do about Age of Ultron, we can guess that Rogers will team up with the other Avengers again to take down the psychotic robot. How this will tie into his personal vendetta to find Bucky remains to be seen. 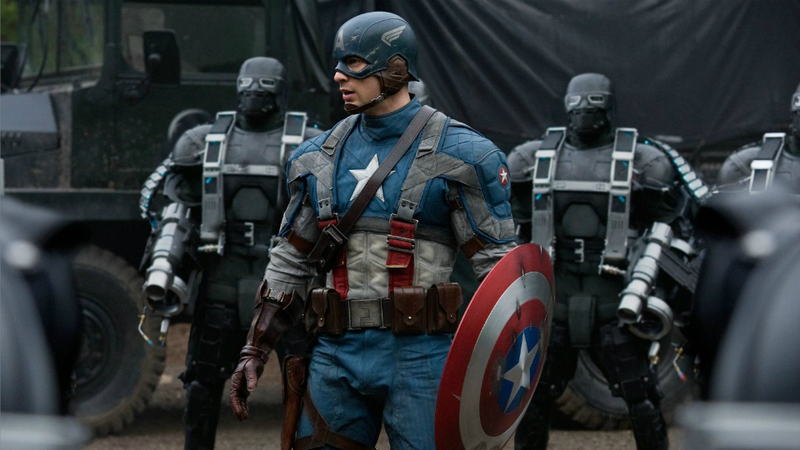 Will ‘Age of Ultron’ help Captain America find Bucky? Is Captain America your favorite Avenger? (He’s mine.) Tweet us @YouNerded.